Since I don’t have an own office, there are many days where I work from home. I really enjoy the benefits of my home office, like the flexibility of working hours, unscheduled days off and exchanging my suit for comfortable orange pants. However, everyone, who works from a home office knows that there are several challenges. Many times I caught myself cleaning the house, watching TV or reading the newspaper during working hours. I’m less creative, easily distracted and less motivated to start long and complex tasks. Since I have a lot of work to do after IMEX America, I was looking for some tips to work more efficiently at home. I want to share my best with you. It is great to have some flexible working hours, but if you get too flexible in your schedule, you will loose the distinction between work and home life. Try to stick to a regular work schedule like office workers do. Get up each morning at the same time, get dressed and have breakfast before you start your daily tasks. Write down your To Do’s for each day in advance, including non work-related tasks and breaks. I finish each working day by scheduling my tasks for the next day. It is a big advantage if you have a separate room you can use as your office. If there is no spare room left, designate any area in the living room or bedroom that can serve the purpose. Ensure that you give your space the appearance of an office and keep everything you need nearby. Make your work area as attractive as possible with sufficient bright daylight, a comfortable temperature, plants and family photos. Keep everything that could disturb you while working as far away as possible. Switch on the answering machine of your phone during working hours. You can use an office phone for important and work-related calls. Teach your friends and family what your working hours are and that they cannot disturb you in these times. If you don’t need to be online, disconnect from the internet to avoid useless surfing and social media activities. You can schedule regular times to check your mail or Facebook channel. Working from home can also make you feel lonely and depressed because you don’t have colleagues to talk to. Furthermore, your creativity will suffer if you spent all your day in the same room staring on the same screen. For home workers it is crucial to take breaks, go outside and meet other people. Take a walk, have coffee with a friend during lunch break or hit the gym. There are endless alternatives to spent one hour of free time. Do whatever helps you to get motivated and relax. For me, the most important lesson was to separate working time from free time. How do you experience working from your home office? How do you plan your working day to be efficient? I would love to hear your tips and ideas. So far I have inspected Amsterdam, Rotterdam and The Hague – the three biggest cities of Holland at the Dutch west coast. Looking for a more budget-friendly destination? Time to move further to the centre of my country. Utrecht, the 4th biggest city, is situated in the heart of Holland. Founded over 1,200 years ago, it is also one of the oldest Dutch cities, which is reflected in infrastructure and architecture. 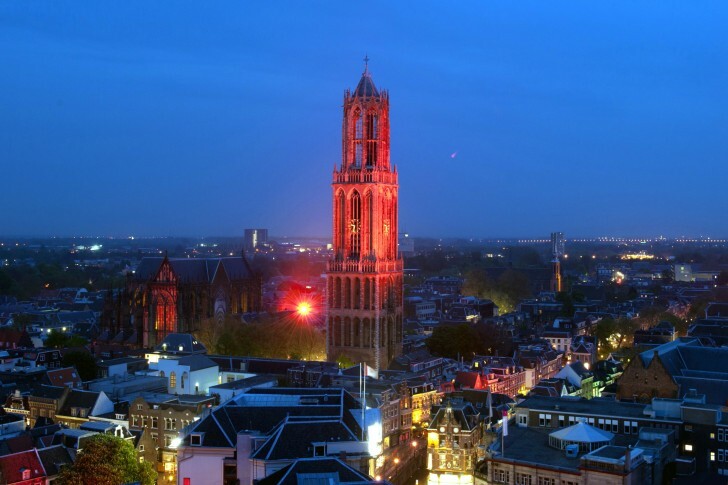 Utrecht’s landmark is the Dom Tower, a church tower on a big square that was once part of a Roman fortress. A city as old has Utrecht accumulates tons of knowledge. In fact, is home to many Dutch scientific and educational institutions and hosts one of the biggest and best universities in Holland. Due to 70,000 students, the city defies aging and maintains its young and dynamic character, attracting young and creative minds. Old knowledge gets updated on a regular base and combined with fresh and clever ideas. Utrecht Science Park for example is a place, where knowledge meets the newest technology. It is an inspiring environment where scientists and entrepreneurs from all over the world profit from close networking and integrating knowledge into practical applications. Due to institutions like Science Park, Utrecht is the perfect destination to integrate existing knowledge into industrial perspectives. 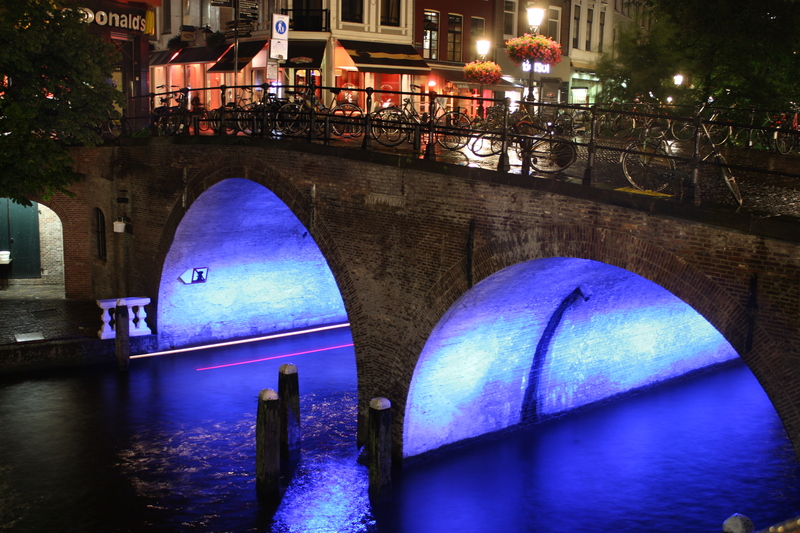 So if your meeting aims for creation of executable ideas and plans, Utrecht is a perfect destination. Due to its central location, Utrecht is easily accessible for meeting delegates from abroad. From Amsterdam Schiphol Airport you travel only 30 minutes by train. If you depart in Paris, Brussels or Frankfurt, there are direct high-speed train connections provided by Thalys or ICE International. When you arrive at Utrecht Central Station you have excellent public transport opportunities to your venue. As most Dutch cities, Utrecht is quite compact, making traveling within the city quick and easy. Luno Meeting Centre, a tastefully decorated, pleasant venue, which offers great surroundings for small meetings and private talks. De Oude Muntkelder, an excellent location to try your first Dutch pancakes. Activity: Trajectum Lumen, a guided walk along beautifully enlightened attractions of Utrecht by night. Utrecht is full of historical attractions, so I definitely recommend you to participate in one of the guided city tours. Visit the historic part of the city centre and take a look inside the old churches from the Golden Age. You can also discover Utrecht by boat on the many canals. Or take a look upon the city after climbing the 465 stairs of the Dom Tower. 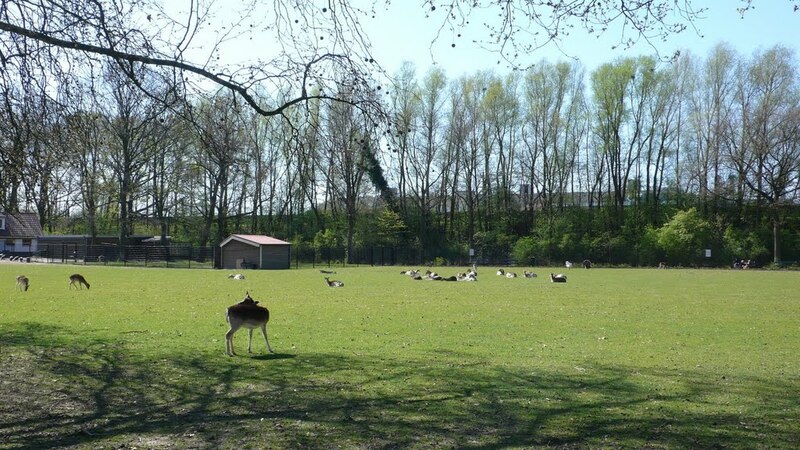 If you need some time to relax afterwards, you can chill out in Julianapark, a rural park with a little zoo and loads of green. One of the most popular places in Utrecht is Winkel van Sinkel, one of the first department stores that opened in Holland. Nowadays it is a grand café and restaurant during the day and transforms into a club at night. Did I make you curious about Utrecht? If you want more information about meeting facilities in Utrecht you can contact my friends from Utrecht Convention Bureau. They can help you with many useful tips without charging a cent. What was your IMEX highlight in 2013? One week after IMEX America I’m still dreaming about Las Vegas, masterpieces and awesome tradeshow visitors. I met many great people at my booth and was inspired by the ideas of other exhibitors. With such a great event at IMEX 2013 I always get into a post-party depression. My working days in the office seem long and boring compared to the colourful tradeshow days. Do you recognize this? So let’s fight the bad mood by reviving our IMEX memories. While I had many great moments in Las Vegas, my personal highlight was to perform during the Ovation Talent Night. It was awesome to sing and dance with you all. How about you? What was your favourite IMEX moment? Do you have photos, stories or anecdotes you want to share with me? Tell me, I want to hear them. Waiting for your bus, your computer to start or software to load. Every day we encounter many moments of down time and often we let it pass unused. Imagine how much time we could save, if we could spend all these empty minutes and seconds with useful tasks from our schedule. I tried to count my daily total amount of down time and it went up to almost 90 minutes. How awesome would it be, if I could do more work in these 90 minutes to end up with more free time in the evening? I browsed the web for some short tasks to fill up down time. You are welcome to add yours. Exercise: do lunges, stretching or push-ups on the counter while waiting for the microwave. In the office, keep standing while your computer reboots and do some squats. Clean: keep some cleaning supplies in your drawers and use down time to clean your monitor or desk. In your kitchen, you can clean the counter plate or get dishes out of the dishwasher. Shower: and brush your teeth or scrub the walls of your shower, while you rinse your body or put on hair conditioner. 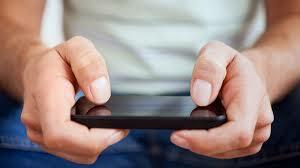 Make phone calls: when you walk to the supermarket, wait for the bus to depart or a download to complete. Organize: check your desk for waste and old documents and throw them in your trash bin. Refill: while your computer starts up, you have plenty of time to prepare some coffee or tea. Update: flip through your contacts and delete those you don’t need anymore. Extra benefit: it reminds you to refresh old acquaintances. Check: take a look at your schedule for today and mark your accomplished tasks. It gives you an overview of your current status and a positive feeling. Free: your purse from all the rubbish you have collected in the last days. You don’t know what other lost items you might find back. Read: how long is your reading list? You have more time to read than you might think. Just fill in waiting time by reading a page or finishing a chapter of your book. Listen: If you are not the reading type, try audio books. Just listen a view minutes during down time to relax, laugh or educate yourself. Relax: not by staring at your screen. Close your eyes, take a deep breath and revive some positive memories. Works also great during an elevator ride. How do you spend your down time? We can never have enough tips. So if you have one to add, please leave a comment below. Are you counting the last hours as I am? Only two days left until IMEX America opens the doors to the show floor and I’m so excited to meet many old and new friends again. This week I tried to make a lot of buzz to inform you all about the prize you can win at our booth this year: my Holland crew has decided to offer you a trip to Holland. In this post I will explain a little more about the contest and the prize. Holland is the home of many remarkable artistic talents. Great master like, Van Gogh, Rembrandt and Vermeer have changed the world of art with their paintings. During IMEX 2013 we offer you the unique opportunity to create a masterpiece yourself by taking a picture of you and me. For hosted buyers, this picture is the ticket to enter the Facebook competition. After your visit, you will receive a card with all instructions to join the competition. As a first step, I invite you to visit my Facebook page. Find the photo we took together in the album IMEX America 2013 and tag yourself. To win the first prize you need help. Ask all your friends, colleagues and family members to like your photo. The prize is yours, if you get the most ‘Likes’. The first prize is a trip to Holland for two people, including flight with KLM (economy class), 3 nights in a Suite of Sofitel Legend The Grand in Amsterdam plus breakfast. You will receive two tickets for the Rijksmuseum, so that you can discover the Dutch masterpieces yourself. My friends from ITBholland would also like to show you the lovely city of Amsterdam on a guided tour. The top ten participants will receive their photo on a canvas, as a personal take-home masterpiece. Will I see you in Vegas? Check my previous blogpost to get an impression of what you can expect from your trip to Holland. It would be great to meet you at my booth at IMEX America. Will you come?